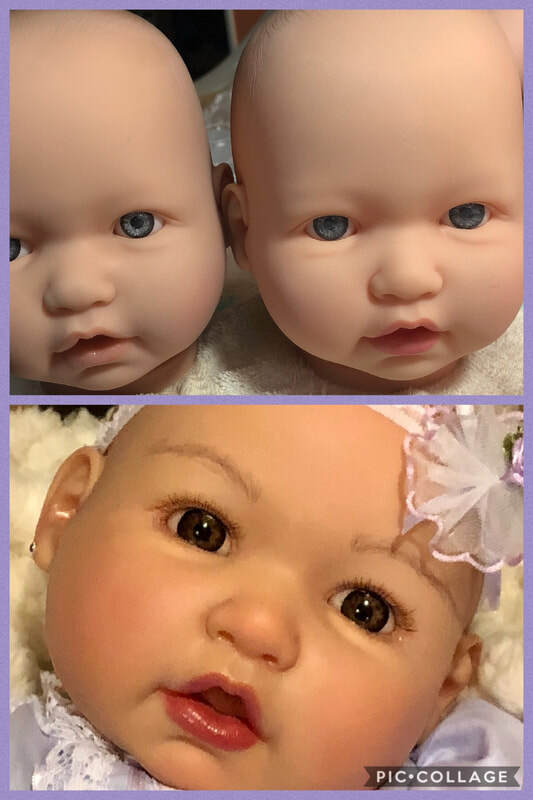 A very dear friend and doll lover and collector sent me her two older berenguer babies for a makeover. She wanted twin baby girls. The end results were amazing! 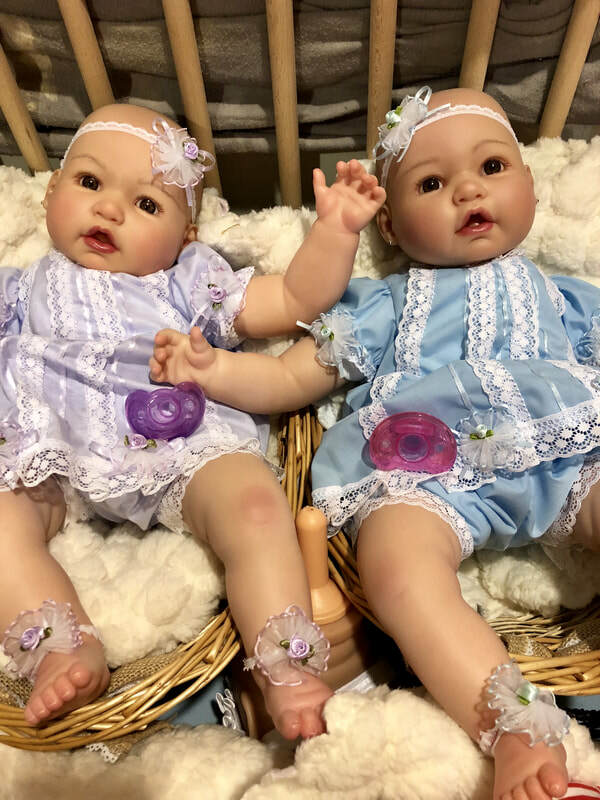 After giving these two sweet girl a warm soapy bath and removing their old paint, I then repainted them, gave them new warm brown eyes and eyelashes and pretty matching new frilly dresses. My lady was more than please with their end result! 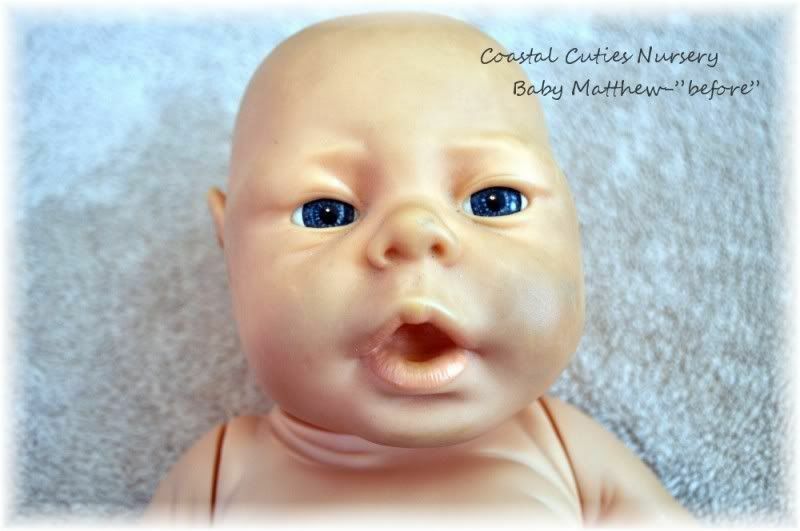 Baby Matthew was a very old citi-toy doll that a dear lady had for a very long time. 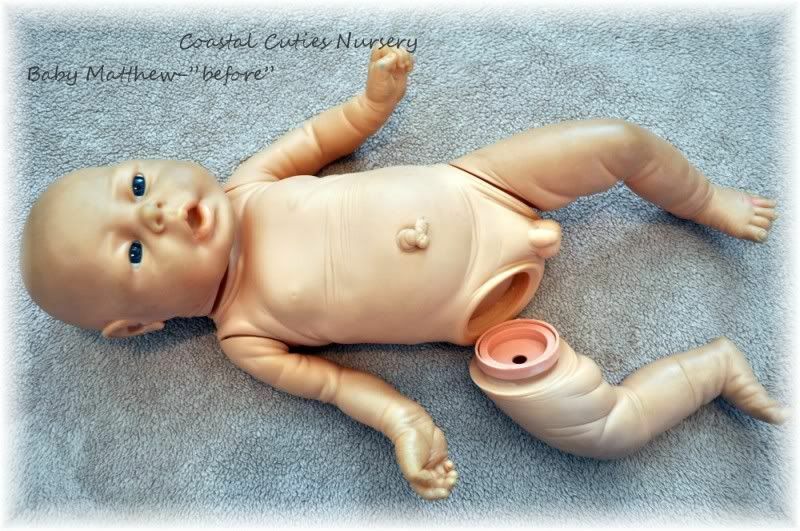 He arrived in the nursery dirty, and with his limbs falling off. Poor little guy! 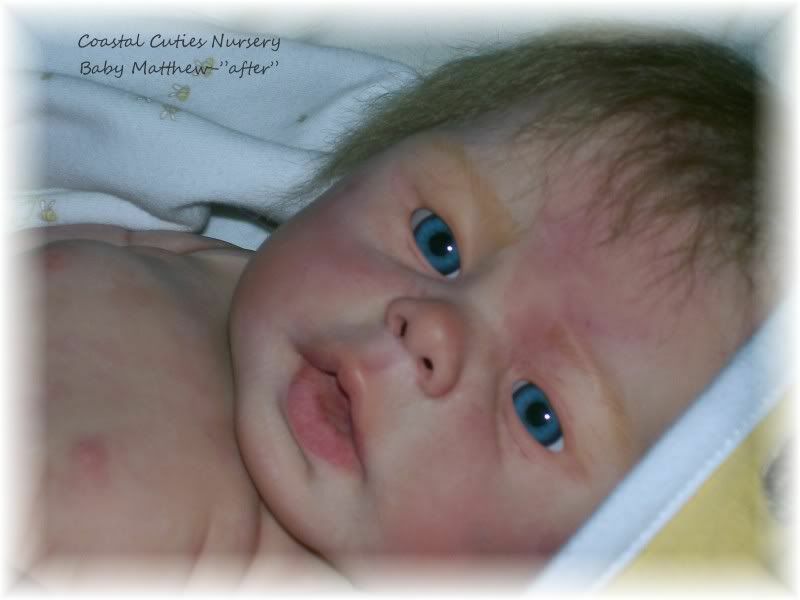 Take a look at this sweet boy after his bath and re-paint!